JK Imaging Ltd., the worldwide licensee for KODAK PIXPRO Digital Cameras and Devices, shares their versatile and extensive selection of camera favorites at the 2018 Los Angeles Travel & Adventure Show, perfect for every travel experience and enthusiast. Ranging from affordable compact point-and-shoot cameras and mega-zoom “bridge” cameras, to all- immersive 3600 VR cameras – the new 2018 line of KODAK PIXPRO cameras provide countess options with easy to use devices for every age and every travel and adventure need. Capturing travel memories from every angle is easy with so many KODAK PIXPRO cameras to choose from. Many consumers gravitate toward KODAK PIXPRO’s Friendly Zoom line for the ease-of-use, slim design and unparalleled value. These point-and-shoot cameras are ideal for first-time digital camera owners, families of all sizes and especially those little ones eager to tinker around with a digital camera and explore their budding photography skills. More consumers world-wide are choosing Friendly Zoom cameras to tote around with them on family vacations, leisure trips, and just to have on hand at home so they never miss a treasured moment and have memories to cherish for generations. PIXPRO Astro Zoom line, complete with a vast selection of mega-zoom cameras starting with 25x zoom and going all the way up to 90x zoom lenses. These value-centric models enable photographers to graduate from point-and-shoot models without making a costly investment of buying a DSLR camera and individual lenses. With prices starting at $129.99US MSRP for the AZ252 (25x zoom) up to the newest AZ901 (90x zoom) model which includes a powerful 22mm wide angle lens, built-in Wi-FiTM, and an Electronic View Finder (EVF), all priced under $500US MSRP. The 2018 KODAK PIXPRO line up offers a sizable selection of feature-rich and highly affordable cameras, capable of satisfying virtually any travel photographer of any age. 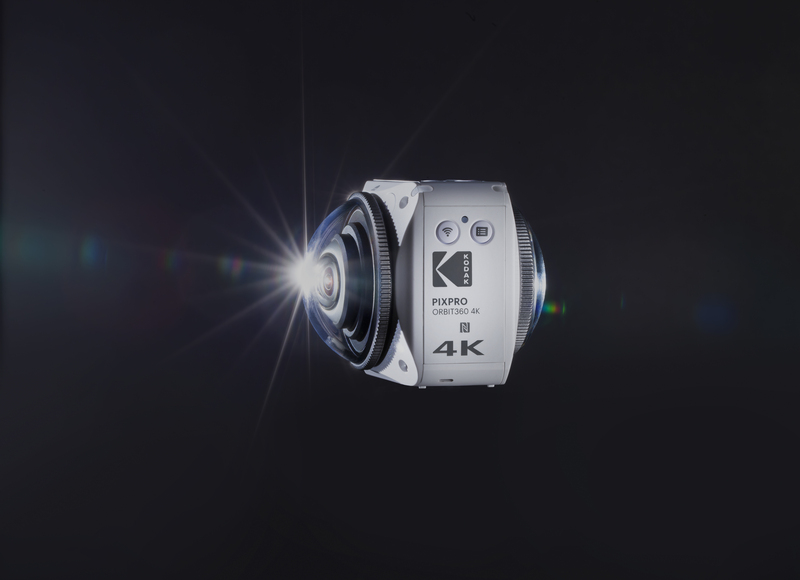 For those travelers interested in dabbling in capturing their travel and adventures in immersive 3600 VR, KODAK PIXPRO continues to expand its offering in digital devices with the award-winning KODAK PIXPRO ORBIT360 4K VR camera. With a simple, dual lens, single- body, compact design, the ORBIT360 4K VR camera gives users the ability to effortlessly capture their travels with 360° video and photos and stitch in-camera to easily share immersive adventures on social platforms like FACEBOOK and YOUTUBE on the fly. The highly affordable entry level ORBIT360 4K Adventure Pack starts at $499.99US MSRP and comes with thoughtful and valuable accessories that allow the user to start capturing 360° VR video and photos right out of the box. The step-up Satellite Pack has a MSRP of $549.99US and both camera bundles come with complimentary PIXPRO 360 VR Suite Software for easy editing and stitching of 4K files on both Mac and PCs. The ORBIT360 4K VR Camera can also be used as a traditional, super-wide angle (1970) front-facing action camera for even more flexibility and value.